PharmAccess believes in doing healthcare better. With a focus on sub-Saharan Africa, we work on improving healthcare markets so that people have access to better care, can lead healthier lives and reach their full potential. 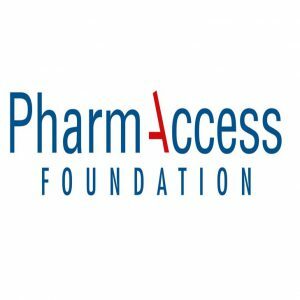 With headquarters in Amsterdam and most of its staff based in four country offices across Africa, PharmAccess is an international organization with a history of reimagining what is possible. We challenge the notion that exclusion from healthcare is an inevitable consequence of living in poorer countries and identify the opportunities and partners – both private and public, needed to bring about transformation. This approach was instilled by our founder Dr Joep Lange, a world leading aids researcher who went against the status quo in 2001 when he proved that working with the private sector could play a critical role in delivering life-saving antiretroviral therapy for HIV/AIDS treatment in Africa. PharmAccess has since evolved to embrace other opportunities for inclusive healthcare, with a particular focus on what the digital revolution can deliver. PharmAccess aims to be an innovator and catalyst for practical changes that can be scaled up. Initiatives such as SafeCare equip healthcare providers with clinical standards for quality improvement that investors and patients can trust. The Medical Credit Fund drives more money into the system – it offers loans to clinics to stimulate growth and encourage new ways of financing healthcare. We use mobile health platforms to develop a new model to make healthcare work for everyone. For the individual, M-TIBA provides payment options for insurance and care that they can access on a simple mobile phone. Helping people access better care and lead healthier lives. For governments, donors, healthcare providers and insurers looking to reach more people, M-TIBA operates as a sophisticated platform that can channel financing and collate valuable health data. PharmAccess believes that better functioning healthcare markets are key to advancing a number of the Sustainable Development Goal’s, in particular the targets relating to the realization of Universal Health Coverage.